Québec’s latest tourist route winds through the Notre-Dame Mountains, which were formed some 200 million years ago. From Sainte-Luce to Dégelis, nature lovers can admire landscapes of forests, fields and pastures dotted with lakes and rivers. Follow the footsteps of the people who first settled this area in the 1930s and meet the proud and welcoming communities living here now. From the coastal town of Sainte-Luce, take Route 298 to Domaine Valga in Saint-Gabriel-de-Rimouski. Located in an old-growth sugar maple stand, this site has a lovely log inn and offers treetop trekking as well as forest and lake activities. Drive west on Route 234, which becomes Route 232. Follow the signs to Canyon des Portes de l’Enfer (Hell’s Gate Canyon) in Saint-Narcisse-de-Rimouski, where you can go hiking and cross the highest suspension bridge in the province of Québec! Next, continue on Route 232 and then Route 296 to Saint-Michel-de-Squatec, which is the gateway to Parc national du Lac-Témiscouata. In the park, you can enjoy aquatic activities on the region’s largest lake as well as hiking and mountain biking in the forest, archeology and history-related activities, wildlife observation and more. Your itinerary will then take you to Domaine Acer in Auclair. This sugar bush is renowned for its alcoholic beverages made with maple sap. Join a guided tour to learn more about how maple syrup is produced and sample the exquisite maple products in the gift shop. You will finally reach Dégelis via Route 295. 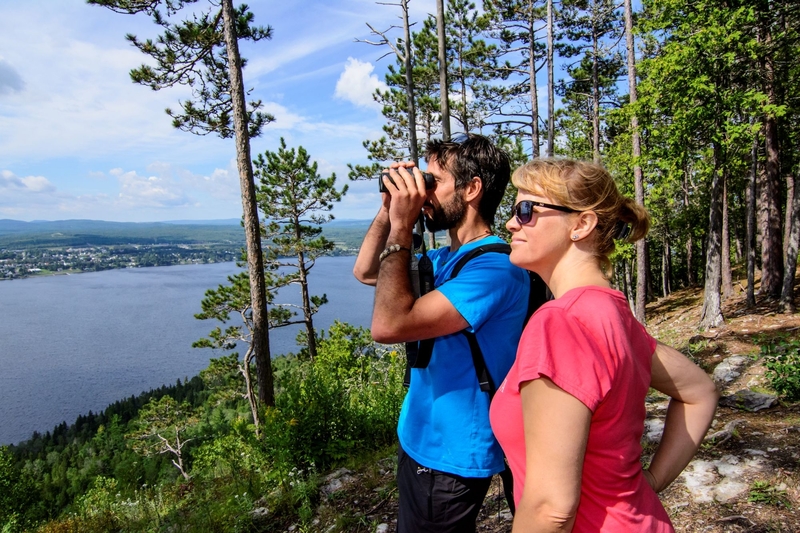 Located where the Madawaska River meets Lake Témiscouata, this town will delight nature lovers and those seeking relaxation with a wide range of activities, including cycling, camping, nautical activities, swimming and more.